Soul Midwife Sofa. Not a Diva, or Mary Poppins, or Jesus. On Monday 6 May I open a new service. 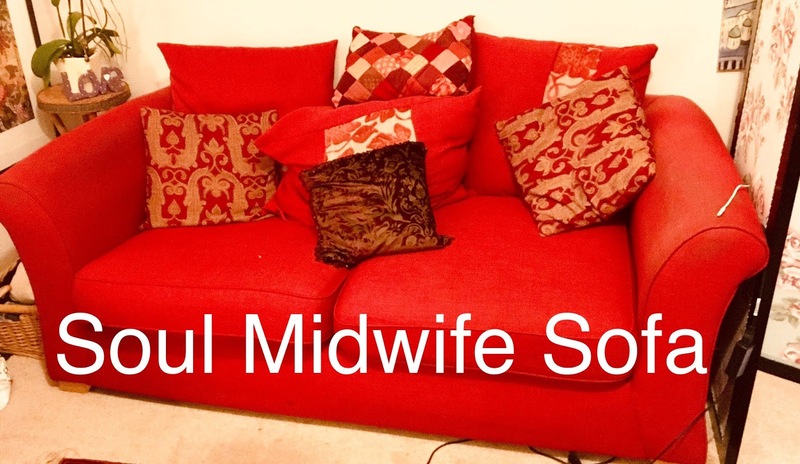 Based at Waltham House Studios, the new and emerging Arts and Wellbeing Centre here in Bognor Regis, I am starting the Soul Midwife Sofa. A confidential holistic support and listening service for anyone facing the end of life, either their own or someone else’s. The dying process can be full of emotion, fear and sadness. It can also include deep moments of healing and reconciliation. Talking over our feelings, fears and asking questions can help us to face our journey, whatever it may be. Antonia Rolls is a trained and experienced Soul Midwife with over ten years of experience. Non-denominational and without judgement, she offers a safe and loving space for feelings, thoughts, questions and fears for all who are experiencing a death or a dying. Call Antonia on 07787754123 to make an appointment. £20 is required on booking to reserve your space. An oracle. A soul midwife can't tell the future though she may have an opinion based on observation and experience. She has no mystical powers to foresee things, nor can she predict the date and time of a death. A Diva. She won't want to make a grand entrance with her hand on her heart and an expression of pain and grief on her face. She will not identify so deeply with her clients' pain that she needs to sit down and fan herself with a copy of this month's Saints Weekly. A push over. She isn't able to take on everyone's negative emotions and make herself responsible. She isn't there to take whatever is happening personally, and make herself ill.
Jesus. A soul midwife can't make anyone better, can't heal anyone so that they get out of their beds and go for a run. She also doesn't have a hot line to any deity, and can't work miracles. A listener. A soul midwife listens deeply, carefully and attentively. She listens with her ears and her heart. Often what is being said is being conveyed without words. A soul midwife learns to listen and keep herself out of the way, and really hear what is being said at as many levels as she can. Boundaried. Having porous boundaries creates confusion and resentment. A soul midwife will not want to become involved in another's pain if she can help it. Her wise detachment will mean she is stronger in her support, and she will know it is not her story. She knows her limits. Compassionate. A soul midwife is compassionate and practices empathy and patience. She knows that the people she is working with will take this journey that they are on in their own way, and sometimes, they may be in great pain. She does not tell them to snap out of it, she engages her compassion and works from the heart. Sometimes fear and distress make a client angry and confrontational. She will work out how to deal with this with compassion and boundaries. Healthy. It takes energy to sit with clients, and a soul midwife will be aware of her own health and need to rest and live in her own world too. She will try never to become a wet dish rag. Honest. Soul midwives can say that they don't know when they don't know the answers to questions. She may be asked about how an illness is progressing, she may be asked about powers of attorney, she may be asked what happens after death. She can say she doesn't know, and if it is appropriate to find out, she may help with that. A soul midwife is tactful, and if asked the question Am I going to die? by someone who is on their way out, she finds a way of answering truthfully and taking into account the client's ability to hear the truth. Energy is all around us. We feel the vibe when we walk in on someone's argument. We know when we feel bad about someone we have just met, we know when we meet someone we connect with at once. We both emit and receive energy, we bring with us our own energy and this affects all those we encounter in our day. We are responsible for our own energy and if we are aware of this, and understand it, then we are aware of how we are affecting others around us. In order to do this, we become more aware of ourselves. Becoming aware of ourselves is, to me, the most important thing we can do. Insights into ourselves lead to awarenesses of others. How can I become truly aware of you if I have no insight into myself? How can I maintain understandings of others if I do not understand myself? It is like the instructions in the aeroplane about the oxygen masks. Put your own on before you help your child. Look to yourself first before you can understand others. If I meet a new client as a soul midwife, I must be very aware of my energy. It must not get in the way, I must be calm and aware and kind. In this way, my client is able to express themselves without hindrance. Light is beautiful. I believe we all carry light, but it gets switched to low and sometimes switched to off. Our light shines when we are happy, in love, excited, inspired, laughing with joy (as opposed to laughing at someone's mishap), kind, peaceful - and so on. We are often so mean to ourselves, so critical and unkind, that our lights get very low. And if I am good to you, the light inside us both flickers up a notch, and when we practice self awareness, we begin to understand how simple this business of looking for the light in ourselves and others is. There is great healing in the light. Sometimes, it is possible to simply be the light. If I am meeting a new client who is very ill, who may be uncomfortable, and I am nervous of what I will find (and nervous that I will mess it all up and get it all wrong), the simplest way to find the light is to embody it. So I become the light. I don't shine like a sixty watt bulb, I don't walk a few inches off the ground, I don't short circuit the kettle and the television, all I do is let the light come in, take it into my body, and let it work through my energy. It is so simple and so powerful, and like all these wonderful things, very much an ongoing process. 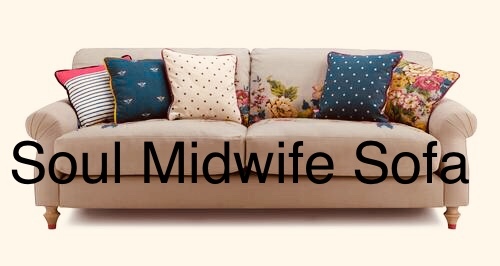 I am taking bookings now for the Soul Midwife Sofa, the holistic listening and support service for anyone experiencing their own or another's death, dying and grief journey. I will be there on Mondays from the 6 May and if you think I may be of service, please get in touch. It is very hard to watch our father shouting, though he is comforted and cared for constantly. 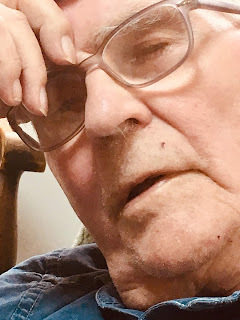 He is struggling with progressive Alzheimer's disease, his once fine mind is shutting down and he knows there is a great darkness where once there was poetry, music and conversation. Where once he was reserved, private and amusing, there is now an unstoppable outpouring of confusion and distress. Help me, he calls, and my brothers and I hold his hands and watch. It sounds as if he is in great pain, but we are assured that he is not. 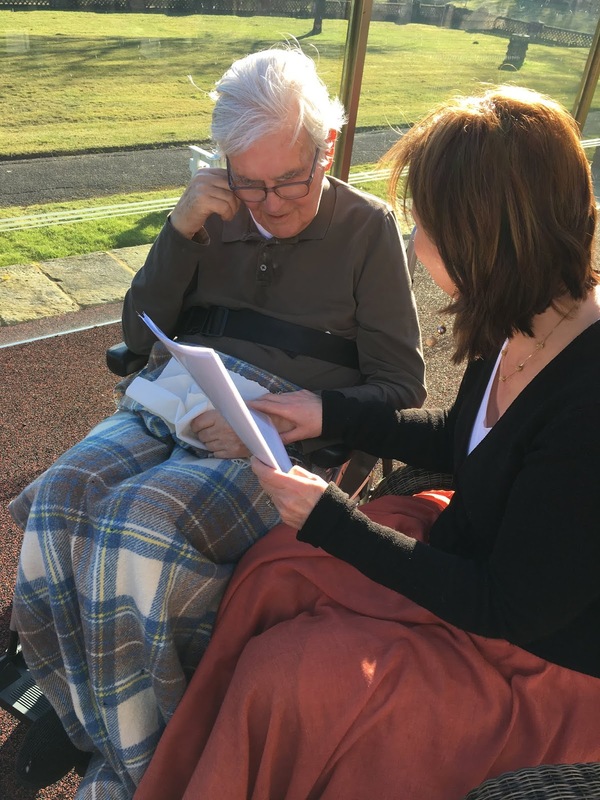 I took him in his wheelchair out into the bright February sunshine, his knees and shoulders covered in blankets. He will like the feel of the cool air, and the brightness of the sun, I thought. He will know he is outside and he will like it. But he did not like it. The bleakness in his brain came with him, and he was unsettled by the change in temperature and surroundings. I took him back inside, trying to wheel him carefully over the grass, hoping the tiny bumps in the ground that I would have given no thought to, would not jolt him and cause him to call out in fear. Once inside, I took him to a large sitting room, and sat him by the window to feel the sun on his knees. We sat together and I tried to distract him from his shouting, but he couldn't understand my questions, and didn't remember what I was describing when I spoke of our childhood with him as a wonderful father, and he shouted his responses in between calling for help. In desperation I sang him a song he loves from his own childhood, though I couldn't remember the words, and muddled my way through it. It did calm him, and so we sang it over and over until it was time for me to go. And now I have gone, I thought, he will shout again, and what on earth was the point of my visit? 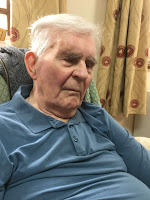 I left feeling tearful that this most gentle and educated of men, this kind and independent father of ours, would have already forgotten how I had sat with him and found a way to calm him just for a moment. For me, it was a big thing. For him, it seems, it never happened. And yet he is in there. I keep asking him to look at me. He always does, and I know he can see me for that moment. He knows who I am. Tone! he says when I say hello Dad, it's me. Tone! Where have you been? His delight is real, and if I say I have been here all along Dad, I just popped out to the loo, he will believe me. I don't say that, but it doesn't matter anyway, because I will be forgotten and so will my visit, as soon as I leave his side. Today when I went to see him, he was not shouting. He seems to have stopped. He is peaceful and calm and sleepy. My brother John said, his face has sunk into itself. It's true, his face has lost its old definition, and yet he is still handsome. His face does not care about how it looks anymore, it is only responding to the shutting down of his mind. He cannot control it, he has no awareness of it, and it shows how weak and tired and old he is. In a strange way he is like a baby that has no idea of who it is; a very old, white haired, gentle sleeping baby. I want to ask him something about what is happening to him. I want to ask what it is like to be so old and with Alzheimer's. I want to get through to the eccentric, clever, witty and philosophical man that still lives inside his brain somewhere. What are you thinking, Dad? I ask him, and he seems to pause, as if he knows I am asking him an important question. His mouth moves and I can see he could once have said something profound in response, but his brain has shut down a way of making any sense of the question. But he knows, he knows we once would have talked like this. Instead now, he closes his eyes and his head droops onto his chest, and he disappears back to that place that I cannot understand and in which I cannot find him. There is not much time left to make him understand we love him. He may go on physically for ages, but the sparks of light in his mind will soon remove him from us completely. I love you, Dad, I say, and he smiles. I hope that lodges in all his brain cells, and cannot be dislodged. My father has Alzheimer’s. Apparently there are seven stages. He’s had it for quite a few years now and for so long there was no impairment whatsoever. It was a phoney war. There were minor memory problems that I put down to old age and the result of TIAs some thirteen years ago. The decline was gradual and punctuated by odd periods of trauma resulting from the loss of loved ones. Three years ago I got married and my father sat at the top table resplendent in his morning coat and making mildly caustic remarks about the speeches. In those days he looked after himself in his smart riverside flat. Each day he did the Times crossword and assiduously read the TV schedule marking off programmes he might like to watch that day. He was part of the pre surfing generation who sat down to watch specific programmes and turned the TV off when they were over. 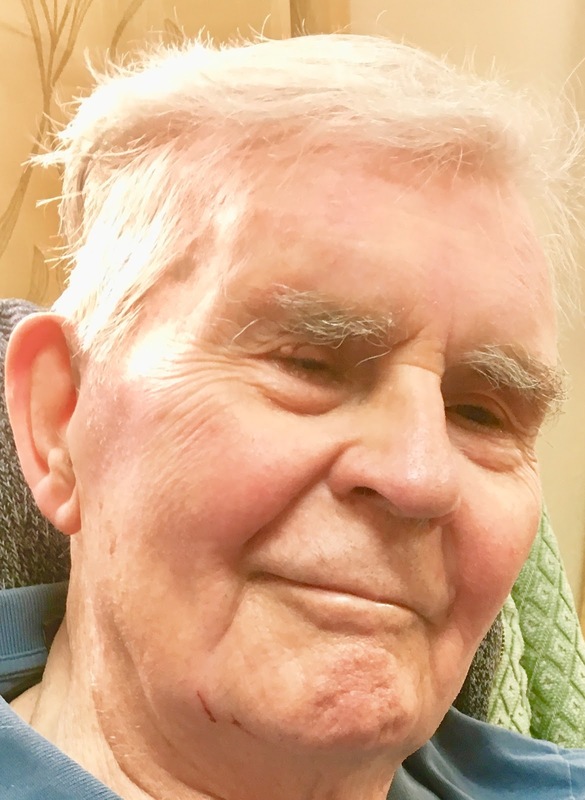 His life was ordered: he shaved every day; he ate all his meals at the dining table at the same time each day; he went to church on Sundays etc. he drank too much but never got drunk. He justified it by saying he was healthy- “I walk to the shops every day.” Alcohol was ubiquitous. A glass of beer with his lunch; a couple!!! of gins and tonic at 6pm; a bottle of good wine with his evening meal. “Once a bottle is opened it will become oxidised and so MUST be consumed that evening.” Cumulatively it had an effect. 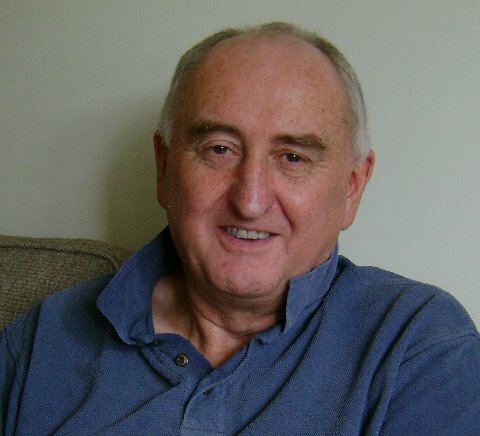 His blood pressure grew and in the autumn of 2006 he crashed his car whilst having a series of TIAs. Even then the justification for drinking continued. He would argue that experts believed that light-to-moderate consumption of any form of alcohol — not just red wine — could reduce risk for stroke. One to two alcoholic drinks per day may increase the amount of HDL, or good cholesterol, in the bloodstream. Alcohol also may serve as a blood thinner, helping break up blood clots. And then the memory started to go: the repetition of questions; the misplacement of keys and money; the disorientation and the getting lost in public. I began to notice that in family or social activities he would sit quietly and speak only when he was spoken to. This was a man who before would charmingly interview people when he spoke to them. He was a consummate conversationalist. Now he was withdrawing from social activities. However he was still jolly and gentlemanly. I once remember him reading the epistle at church. God only knows what he read; it was certainly not the reading on the lectern. And now when I go to the care home and walk down the corridor to the day lounge where so many sit, I dread it. Only a year ago he mischievously called it the ‘dribble lounge’ and asked to be spared sitting in it. And now there he is, inert, head lolling indolently; dribbling. He is permanently confused; he is seemingly lost; he has all but left his body. All conversation has gone. Recognition is sometimes by sight but more often by hearing my voice. I hold his hand and either read him poetry of play tunes on my mobile phone, from his childhood. He will nod; sometimes beat in time to the music; occasionally smile. He relaxes and for a while we connect silently. I miss him dreadfully. Dad has Alzheimer's and progressive dementia. At the moment, I don't want to go into his history, nor give you his background. I want to look at his eyes and find the man inside. Since the beginning of this year he has become more and more agitated, and less and less able to move. Now, he can't walk, feed himself, understand where he is, speak much sense, he can't move himself, he can't work out what he is or is not doing. Today, I uncrossed his legs at the ankles for him, because he could no longer do it himself, his thin hot legs felt heavy and fragile, his delicate papery skin vulnerable to bruising and breaking. He is eighty seven years old. My brothers and I go and see him when we can. We are busy and Dad lives in a care home about a three hour round trip away from us all. We have to make a plan to go there, stay a while, and go home again back to our lives, and I think all of us feel we should be doing more - but what more can we do? It is hard to see him shouting and in distress, it is hard to see him unable to talk, and we think that this must be put right. Somebody needs to do something, but the staff explain all that can be done is constantly being done. They explain the way the diseases progress, and they show us a list of his medications. 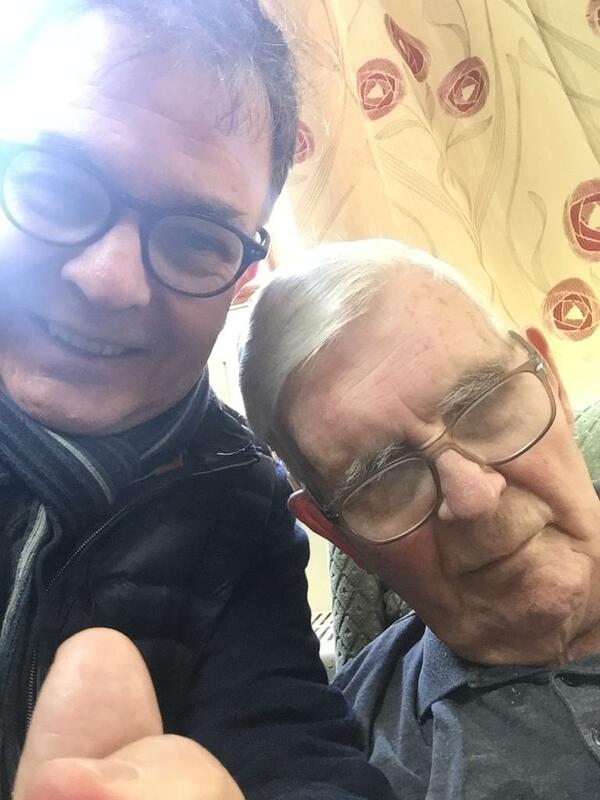 We all know, my brothers and I, that the carers and nurses and the Augustinian Sisters that look after Dad and all the other residents, many much worse than Dad, are angels and bring so much love to what they do. But Dad is so distressed, I say to them, and they say - and this is true - that they all sit with him and hold his hands, and different medications are being sought to help with the shouting. Your Daddy is a gentleman, they say. I want to say to them that he was so tall and dark and handsome once. I want to tell them that he made me laugh when I was little, we wrote poetry together and his was always a pastiche of mine. I want to tell them that he could sing beautifully and that it was he who took me to London and let me wear blue eye shadow when I was thirteen. 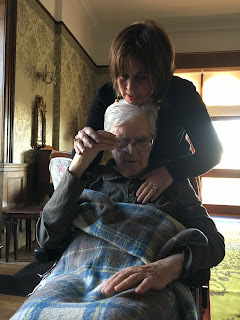 I look at him now, lying helpless on his recliner chair in his room so that his shouting does not disturb the others, washed and brushed and clean with soft blankets on his legs, and I think You are still here, Dad. You are still in there. When I say hello and kiss him, he smiles and says hello. Then he asks me if we should go now. Where to? I ask him. But he can't tell me where, he just waves one hand gently back and forth and forgets to speak. I am looking for my father inside the Alzheimer's. 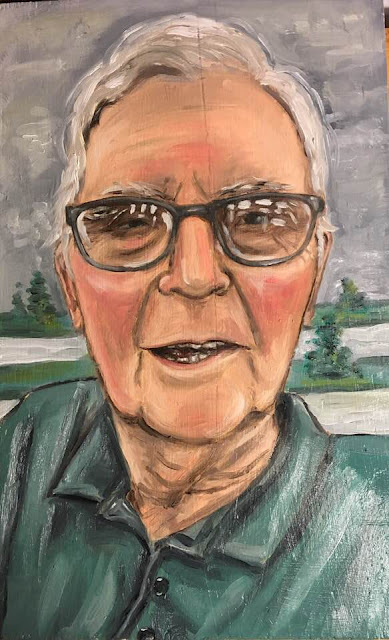 His eyes are deep set beneath bushy grey eyebrows, and his glasses reflect the light. It's hard to find him in there, and the disease has taken away the window to his soul. But if I say, Dad! Look at me! he does, and he smiles, and I can see him again for a second. Today he was calm and peaceful. Last time, he was shouting goodbye to me, and telling me he had to let go, it was all over. A wise person once said that while someone is making a noise, they are still finding a way to get their needs met. I didn't feel that Dad was slipping away and I wonder if he was articulating his awareness of where he is going. It's not time Dad, I said to him while stroking his forehead, this isn't your time. You will do what you have to do when the time is right, and you will know what to do. But that time is not now, not today. Come with me, he said. We will go together. I will be there, Dad, I said, and I will come as far as I can. Today he was calm. There was a silence around him that is new. Maybe there has been more medication and the shouting has finally stopped. He seemed soft and wise and old and wonderful. 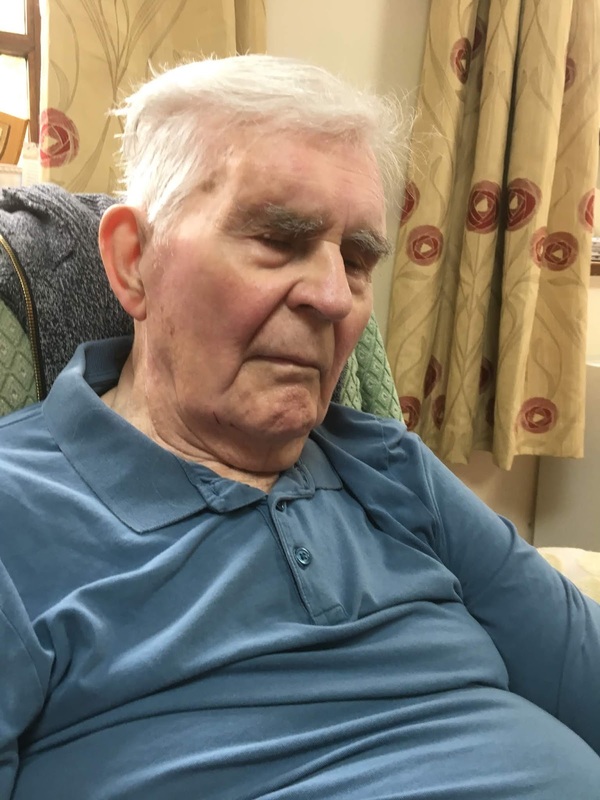 His hair had been cut, and the carer told me she was going to give him a manicure later. I have left some magical hand cream with marigold and lavender essential oils for him, and she will rub that into his skin. Dad took great care to keep his nails smart and clean, I told her. A manicure is just right for him. I had to leave early today, after only an hour with our father lying peacefully on his recliner chair. I will be back, I said, and he smiled. We have had a lovely day, he said. I thought, we have had a lovely hour, and if he thinks it has been a whole day, then I am relieved. My brothers will be with him over the weekend. I must not feel guilty about leaving him after just one hour. 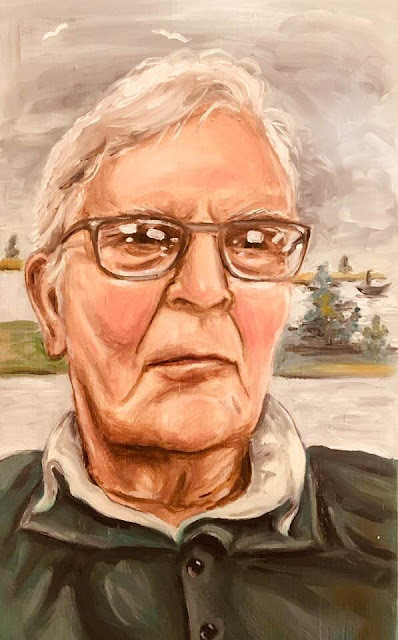 I am painting portraits of Dad, looking for him in his eyes. I am recording him too so that I can understand. He never complains, he is gracious and lost and sweet. I will go back in a few days time, and we will see how things are. Looking for our father in his eyes. 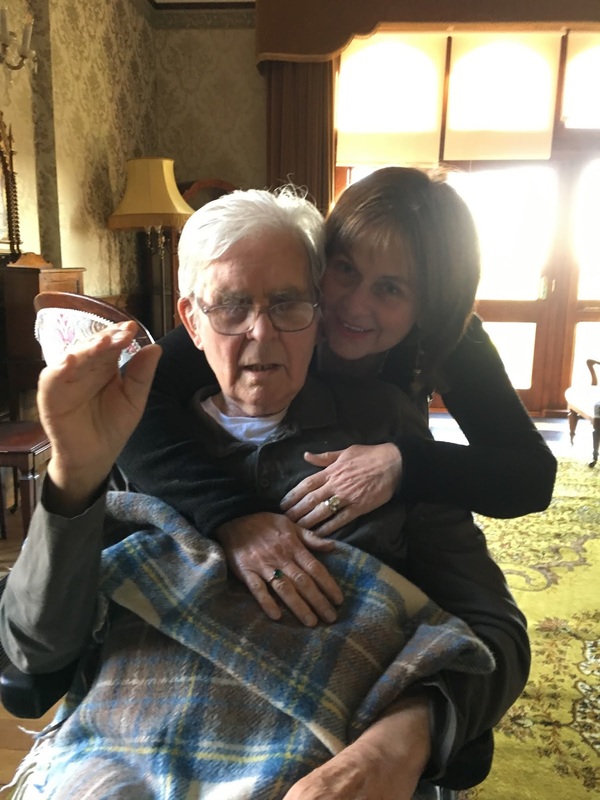 His Alzheimer's is taking him further and further away from us. Oils on wood. Look at me Dad! I say, and the Alzheimer's clears for a second and he smiles, Oils on wood. From a painting of Adam and Eve I did at this time. Here Eve has a moment of realisation. This is how I felt about healing. Many years ago, in a moment of quiet insight, I became aware that even more than being an artist, I am a healer. You are here, a little voice said, to heal. My mind went on to tell me that I am up my own bum. Better come back out of there, said my mind, and get a grip. So I said nothing about it, did even less, and continued with my life even though, underneath it all, the seed was planted. Healing was in the air around me, and as long as I didn't look directly at it, I was OK. If I looked at it, addressed it directly, I was overwhelmed with shame for thinking such a thing about myself. And yet, and yet ... I knew I could do something. It bothered me, it felt wrong, and yet, it felt as if deep inside me, in the middle of me, it was true. I couldn't reconcile it with who I was at the time, and tried to shut it out of my mind. I remember thinking that if I only listened, really hearing people, focusing on what they are saying, that is enough, like healing without actually healing. I won't be obvious and no one has to know. So I became a very good listener, and no one gave it a second thought. 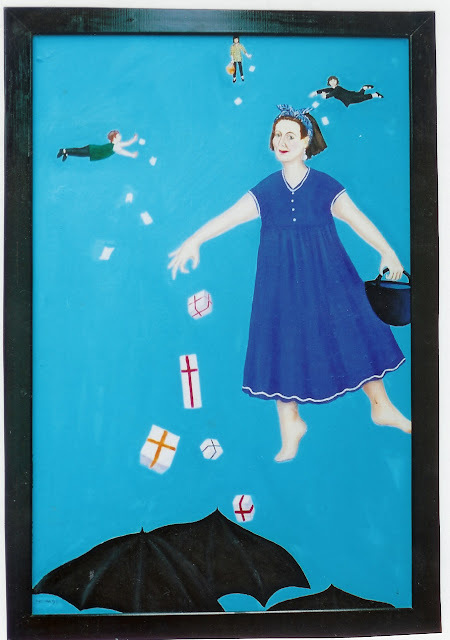 A painting form this time, showing me, much heavier then, up in the sky throwing my troubles out of a bag to the earth below. In order that no one is hit by my packages of troubles, everyone carries an umbrella. Above me my three closest friends rid themselves of their troubles too. If I met people interested in or practised healing, I was scathing. Who do they think they are, I would think and at the same time, I longed for them to say Ah! Antonia, I see through all these smoke screens. You are one of us. While rejecting them, I longed for their attention and reassurance. I felt like a fraud, I felt conflicted and I felt as if it and I were fundamentally unacceptable. During those years, I met an ex-civil servant who gave it all up to teach yoga, practice spiritual healing and teach meditation. She was in her sixties, and wore sensible shoes. How can she do this, I thought, isn't she embarrassed? And I couldn't reconcile the fact that she looked like Des O'Connor. No floaty dresses, no jewellery, no living in a yurt. She lived in a big family house with a husband and four grown children. And, she became my friend, and she was completely normal. But she admitted, in fact advertised, that she did spiritual healing. It was hard to make sense of. I remember longing to do what she did and to be like her. What was happening, in retrospect, was that I was being made aware of an inner life. At that time I was trying to be both a mother and an artist, and not very successful at either. I didn't feel that I did anything very well. 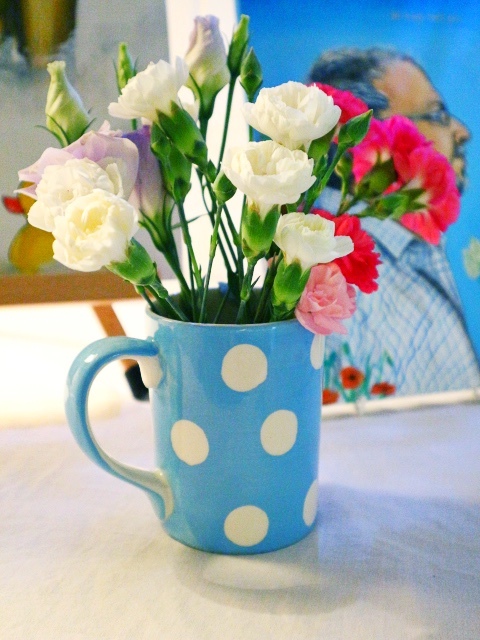 It had been a struggle to admit publicly that I was an artist, even that felt presumptuous. My life was chaotic. I had little confidence, I had married someone who was plagued by terrible demons and who disappeared with them in tow, back to his own country, leaving me alone with three small children. One of them inherited his father's demons and was later diagnosed with autism, a new concept then and not something I had even heard of. And there was never any money. If I was interested in healing, I thought, how come I had surrounded myself with such chaos, how come I could not even begin to help my husband, and how was it that I could not help my child? The person who really needed the help, was me. Life was happening to me, I had no control over it, I shut myself down deep down inside, and continued to crazy-make day after day, trying to keep up with events in a world I could not understand. Thank goodness for friends, family and neighbours. I always meant well, and was given a community of wonderful people to help me deal with my rag tag life and to help me with my beautiful children. I observed them, this community around me, and how they had married good people, made correct decisions, had proper jobs and money to buy things, like food and council tax without scrabbling around and raiding their children's piggy banks. I wondered what was their secret. What is it that I simply did not get about life. I continued to paint throughout these years but nothing I wrote was right. There was so much to say, there was so much inside, but try as I might, no words came near to expressing what I felt. Everything I wrote was trite, miserable and superficial. But I can write, I thought in frustration, I can do it. How come it is not happening? Everything sounded like a long, self pitying ramble. Then, completely out of the blue, I moved myself and the children far away from London, and fell totally in love with a man who loved me in return. All that I had ever dreamt of in a partner, came true. Within eighteen months, he had died. It was his dying that unlocked the next part of the healing journey. The world around me had been spinning faster and faster over the years, and I was finding it harder and harder to catch my breath. For a brief moment, I had found someone who knew who I was without my having to speak, and then he was gone. His dying and death changed my life completely and opened up the next most powerful part of my life. On the day that he died, I sat down to write, and found that suddenly, the gates were open and all the words that had evaded me before, were now flowing. The writing was released. At last I could speak from the heart. And from that moment on, I chose to work with dying and death. It was only many years later, after more deaths, that I realised that I could add life to the list. Dying, death, life and living. Later, I met another man, the opposite to Steve in all ways, but perhaps the greatest teacher I will ever know. Life and lessons with Alan were hard. One of the first things he taught me, and I resisted it dreadfully, was that unless I told the truth about how I was feeling, no one could ever know. No one would guess, it was up to me to tell people the truth about what was in my heart. I had shut myself down over the years and had believed that it was not safe to say how I felt. I felt ashamed, I felt vulnerable and I did not believe anyone would listen. When I look back, I remember his patience and wisdom. It must have been very hard for someone as truthful as him to cope with me, who would not, could not, let anyone know what I really thought and felt. 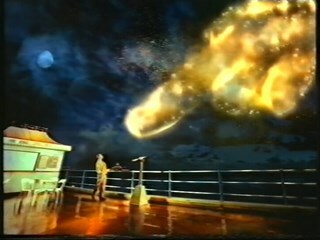 When Alan too died, ten years after Steve had gone, like the release of the words for writing, the understanding of what it meant to be a healer became clear. Alan. The greatest teacher I have ever known. Also left to return home. In the two years after his death, in the silences and emptiness of the days that followed, I began to understand a bigger picture, of not only my place here in the world, but of the world itself. Alan's legacy, the gift of his time in this world with me was in the example of how he lived his life. His honesty, his perceptiveness, his kindness, his toughness. I saw the way Steve had opened up my life with his gentle soul and courage. I saw how my life up until now, far from being difficult and beyond my understanding, had been just what I needed. I saw how each experience of loss, of love, of crisis, of loneliness, of connection and then of the ending of lives on this earth, had given me a treasure box of things that I would understand in other people. All the vulnerability, all the self judgements, all the painful feelings of not belonging and not being good enough, all the awkwardness and the hiding from life were part of learning about life, so that I can feel how it is for someone else. All those people I sat with at the ends of their lives in the ten years of training myself to become a soul midwife - the courage they gave me to see what is real, the insights they gave me to look carefully at what is true, the power they showed in surrendering with grace to what is inevitable, is all part of the most intricate training I can have into merely glimpsing the mystery of being alive and being here at all. We are all, all of us, a chest of jewels. Sometimes the lid is wide open and the light from the diamonds and rubies and gem stones inside is bright enough to light up the space around it. Sometimes the lid is almost closed, with only a small gleam of light from inside. Even if the lid is closed, even if it is locked, the jewels and light is still there. However open or closed the lid of the jewel chest is, the contents are not changed or affected. We are all still filled with precious stones, we decide how open or closed the lid is. With this in mind, perhaps all of us are capable of making a difference. We have more healing in us than we imagine. A most simple act of healing is to be conscious of our own energy so that it is uplifted and mindful of love. If being conscious of energy feels too wacky, paying attention to how we respond to events and people is the same thing. In order to practice the simplest of healing, go about your day aware of your energy, mindful of your responses to all those you come across. Practice all this with love, and take care of how you are thinking. Years ago, with the first insight that I was a healer, my great fear was that I was called to be different, like the hand that points from the sky to a little figure in the old national lottery ads. The business of healing felt like a secret curse, as if I would have to develop into an eccentric pseudo magician. I think I muddled it up with being a fortune teller with a crystal ball, or a mediocre medium who couldn't get anything right during a seance. I thought I would have to become a nutcase. All my friends would be nutcases. I had no idea how anyone normal could practice healing with confidence and success, and still have fun. And, how does one do healing anyway? These days, I am no longer afraid of it. Healing includes everyone and requires no special gifts. I don't have to dress up to be a healer, nor do I have to tell the future. I don't even have to be right, or know what is wrong with anyone. It seems to me that healing is a state of mind. It's an awareness of who you are and what you are doing, for the best outcome for everyone, yourself included. Kindness is a healing art. Focus and paying attention are healing arts; I learned something of that watching a very busy vicar in London who, despite rushing everywhere at speed, always stopped when addressed by anyone, and gave them his full attention for the couple of minutes he could spare. Healing is not necessarily a separate act. It is part of every day life, and costs nothing and does not need feedback. Smiling at people we meet is healing. Generosity is healing. Self knowledge and self love are healing. Prayer is healing, and faith is healing. The healing journey is never ended, it is ongoing and forever changing, rewarding, challenging, dispiriting and uplifting. It is, actually, just like life itself. I am sixty years old next year, and I have found great peace and calm in my life. I understand so much more and know myself so much better. 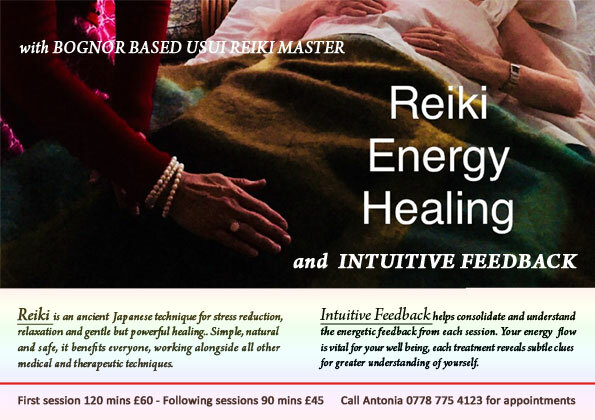 I am a fully fledged artist, Reiki master and soul midwife. The healing that so alarmed me all those years ago is nothing to be afraid of. It doesn't make me different and it isn't something for weird people with no friends. The idea of it then was far too big and alien, I had no idea in those early days of who I was or that it was even possible (or allowed) to love myself. I practice healing in many different ways now in my every day life and when I am too tired or fed up, I don't do it. I practice healing during Reiki sessions. I practice it as a soul midwife, and I practice it when in a shop, or at a train station, or in the street, whenever someone talks to me and makes it known they need it. I do it for money for clients, I do it for free when out and about. It is a part of life, it is not a secret, and it is often beyond difficult to articulate how it is done. And it doesn't interfere with eating cake with my friends, dancing to reggae with my grandchildren, and having pizza in a bubble bath in the afternoon. I am so normal, and I am just fine. And my three year old grandson says I am a very good boy. In case you want to book a session.